Italian tomato salad with fresh basil is a summer must-have dish for any BBQ party. You’ll have an empty dish to take home and your guests will rave about how amazing the flavours were in your tomato salad and want the simple recipe. If you’re looking for a salad alternative besides greens this simple Italian tomato salad will do the trick every time. Both my wife and I live for this salad every summer which is one of the reasons we grow so much basil in our planters. Nothing beats the fresh flavours of minced garlic, fresh basil and organic tomatoes. You can 100% taste the difference when you bite into a juicy organic tomato rather than the over-grown, tasteless tomatoes you can buy at the grocery store. Even though they have organic options we both gravitate towards the home gardener who has an abundance of tomatoes like her father. Every year he plants about 100 tomato plants and thousands of organic garlic bulbs for the family. It’s a fun hobby for him since he’s retired and we all get to enjoy the rewards of good eats throughout the summer. What we love the most is that once dried the garlic will last us all winter until the next crop is due hanging in our garage with string. Just to buy 2 heads of organic garlic will run you about $4.99 at the grocery store. Although we make variations of the Italian tomato salad side-dish which is widely popular all over Italy they are all delicious and fresh. Tomatoes- We like Roma, Pachino (cherry), Beef Steak Check out Delicious in Italy website as you’ll find it’s a great resource for Italian Tomato Varieties. Some people like a good quality balsamic vinegar or red wine vinegar to taste. Often we keep the acid out so it doesn’t mask the freshness of this tomato salad. What you will want to do and trust me on this one is once the salad is made let it sit for at least an hour at room temperature. The reason behind this is that all the ingredients have time to come together to form a lovely juice that coats the tomato salad. Once we finish eating the tomato salad we make sure to have a basket of fresh Italian bread chopped up so we can dip or soak up all those gorgeous juices. We never let any of those flavours go to waste. 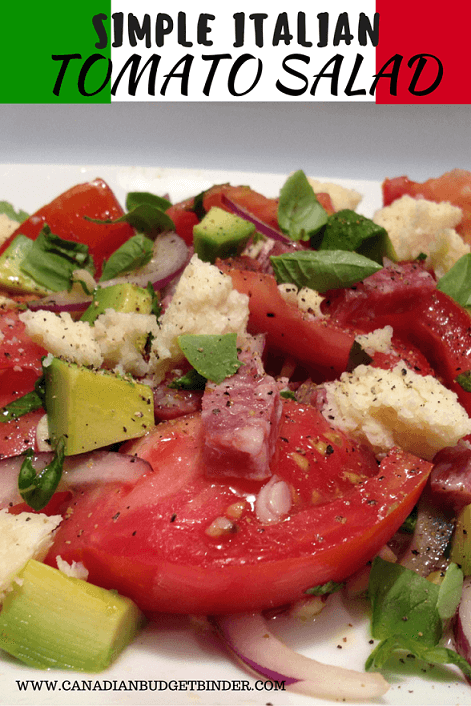 For this tomato salad recipe we made the classic Italian tomato salad but added in a few delicious extras such as Parmigiano Reggiano chunks, ripe avocado chunks and Italian Genoa salami chunks. I’m telling you this is a meal in itself and you won’t need anything but this tomato salad, bread and a nice glass of wine to kick-start lunch or dinner. What I like about making tomato salad in the summer is that you don’t have to worry about it wilting away like a garden salad might outside in the heat. You want your tomato salad to be room temp so the sun will certainly help those flavours out. You’re probably drooling by now after looking at those photos, and you should be. 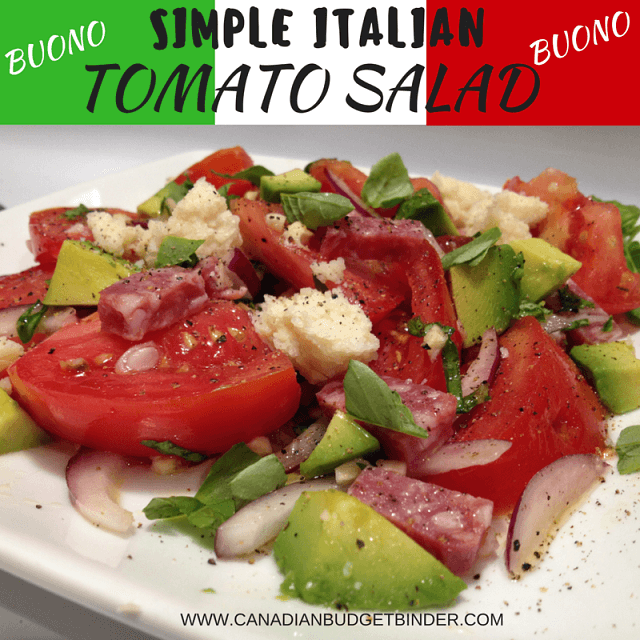 Italian Tomato Salad is a refreshing salad that will pair nicely with just about any protein and perfect for the BBQ table at your summer party. 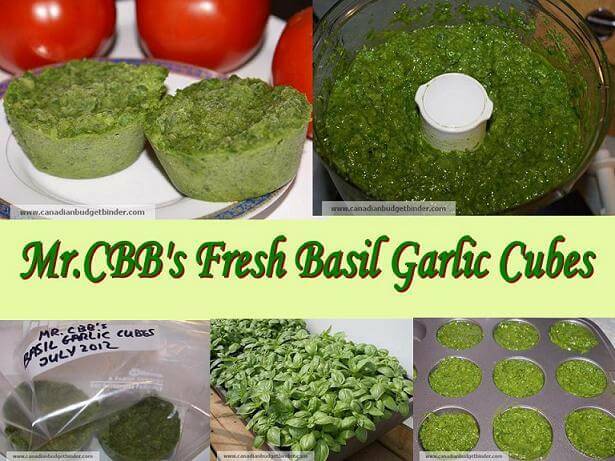 Make sure you have lots of crusty Italian bread to dip in the juices!! If you plan to use this recipe for a dinner party or back-yard BBQ gathering you can easily double or triple the recipe. You can also enjoy this tomato salad as a low-carb salad option.